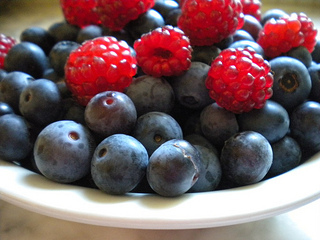 Antioxidant berries - which one comes to mind when you think of this word. Is it the blueberry? Or if you live in Europe is it the bilberry? 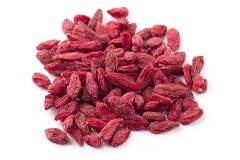 Or you may now know about the popular goji berry. Actually there are health benefits to eating any of these antioxidant rich foods which provide protection from free radical damage. When it comes to eating foods high in antioxidants, variety gives your body a broad spectrum of essential nutrients to fight free radical damage. Free radicals damage our bodies at the cellular level. Antioxidants help keep our bodies in oxidative balance so there is less damage to the cell membrane and the DNA. Free radical damage is a key player in aging and many degenerative diseases like macular degeneration. 1) Provide many cofactors and combination of nutrients that offer more protection than a single, isolated nutrient. 2) Offer a slow release and steady and more sustained protective effect. Supplements often result in a brief spike in blood plasma antioxidant levels. 4) Protect rats' tiny blood vessels—capillaries—against oxygen damage. Ronald L. Prior,who does research at the Jean Mayer USDA Human Nutrition Research Center on Aging at Tufts University in Boston, informs us that the ORAC values of fruits and vegetables vary greatly. He states "you can pick seven with low values and get only about 1,300 ORAC units. Or, you can eat seven with high values and reach 6,000 ORAC units or more. One cup of blueberries alone supplies 3,200 ORAC units." 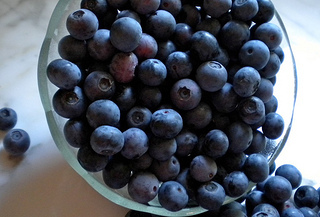 Wondering what are the health benefits of blueberries? These powerful antioxidant berries actually help strengthen capillaries and reduce inflammation. The good news is that this antioxidant rich food is low on the glycemic index level meaning the berries won't spike your insulin levels like some other fruits do. 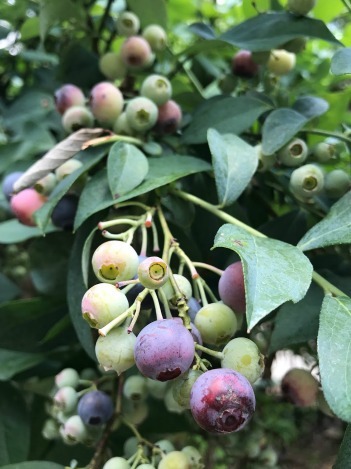 USDA scientists Dr. Ronald Prior and Dr. Guohua Cao have demonstrated that these wonderful berries contain the highest antioxidant capacity of the 40 different fruits and vegetables tested. 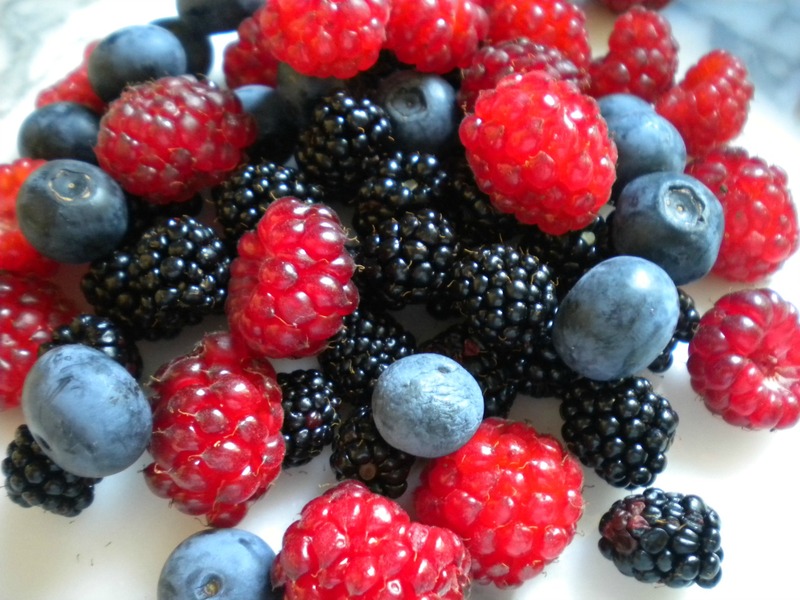 The health benefits of these powerful, antioxidant rich berries include improved memory and reduced oxidation. Oxidation leads to aging and degenerative diseases, like macular degeneration. "The antioxidant characteristics in blueberries appear to be due largely to anthocyanins," said Dr. Prior, whose has been a key researcher in the role of antioxidants. "The wild variety contain one of the highest anthocyanin levels of berries commercially available in North America." We get to enjoy the health benefits of blueberries year round at our house. 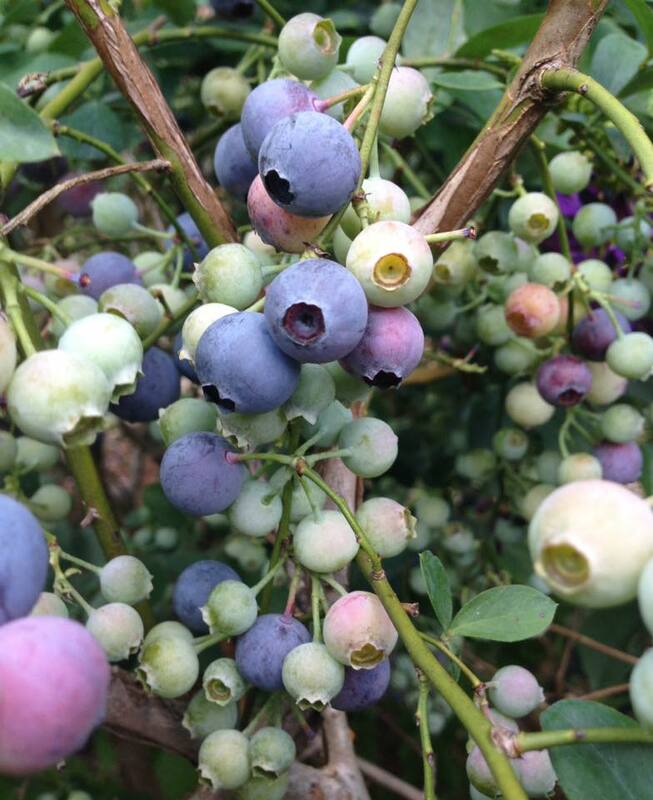 With 8 blueberry bushes in our backyard we freeze the extra blueberries to use in our antioxidant rich berry smoothies. Include these berries in your eye health diet. Not only are they are a rich source of antioxidants including carotenoids, but they also provide us with vitamin C, vitamin E and minerals such as magnesium and manganese. The blue in blueberries is from the anthrocyanin pigment. The word anthocyanin is a Greek word meaning plant (antho) and blue (cyanin).These compounds have "P-vitamin" functions in humans, strengthening capillaries and peripheral circulation. This is what he has to say about blueberries, "Blueberries are such powerful health promoters that if you ate only three Superfoods, blueberries, along with wild Alaskan salmon and spinach, you would be ahead of the game." "Goji Berries are perhaps the most nutritionally rich berry-fruit on the planet." He is not alone in recognizing the super nutrients of this antioxidant rich food. The goji berry has gotten the attention of those who are concerned about the macula lutea which is made up of two carotenoids, lutein and zeaxanthin. While the rod cells of the retina have high concentrations of lutein, the cone cells which are responsible for our detailed and straight ahead vision are made up mostly of zeaxanthin. Organic goji berries are known for their high concentrations of zeaxanthin - one of the carotenoids that makes up the macular pigment. Healthy levels of macular pigment reduces one's risk for macular degeneration. "There are very few foods rich in zeaxanthin. Wolfberry (another name for the goji berry) is one of them." Dr. Mogk is not only a board certified ophthalmologist but she also has a family history of macular degeneration. 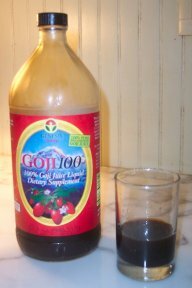 We also enjoy the benefits of these berries by drinking organic goji berry juice. Drink just a small cup in the morning on an empty stomach. It tastes great and it's quick and easy. Once the bottle is opened, use it up within 30 days. We have tried several brands and our preference was the Genesis Today brand until the decided to add pineapple juice to it. Bilberries are known as the European blueberry and have a reputation of helping with our vision. Historically known to help World War II aviators see better at night, there may just be something to eating this berry. Just like the blueberry, the skin of this dark blue-black berry is rich in anthocyanosides. The book, Bilberry & Lutein: The Vision Enhancers! was given this title for a reason. The author, Beth Ley, PhD, writes, "Anthocyanosides provide incredible vision-boosting powers by protecting the tiny fragily blood capillaries to and in the eye from free radical damage." Another source of bilberries is bilberry jam. While buying it online is the easiest it may not be the cheapest thanks to shipping costs. Spread it on a piece of whole grain toast or put some in a smoothie. We like the Bionaturae Organic Fruit Spread Bilberry because it is organic and uses organic apple juice concentrate rather than sugar to sweeten it. I often supercharge my blueberry smoothie with a teaspoonful of organic bilberry powder. It's ground really fine, so it mixes well with any kind of blender. The taste is mild, and I can't say I can really taste it because of the blueberries mixed in with it. We have planted several thornless blackberry bushes in our backyard so that we can enjoy the benefits of these antioxidant rich berries. They make for a great snack with only 62 calories in a cup. The darker the pigment the richer the antioxidant. Anthocyanins is what gives the berry its dark color. This antioxidant is anti-inflammatory which is good news for those who want to reduce chronic inflammation. Rich in Vitamin C, Vitamin K and Vitamin A gives lots of reasons to include this berry in your macular degeneration diet. It also contains rutin which helps with blood circulation and high fiber which helps to stabilize blood sugar levels. 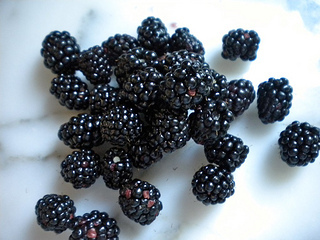 Store them unwashed in a glass airtight container in the refrigerator and then rinse just before you eat them. Flavonoids are a diverse group of phytochemicals found in many fruits. However, some sources are better than others. Usually, the more deeply-hued the plant, the more flavonoids it provides. Dark berries, such as blueberries, blackberries, and dark cherries, strawberries, and cranberries are all good sources for flavonoid antioxidants offering some of the highest ORAC scores.